In a true show of community spirit, an American island too far from the mainland came together as one to build their own internet service powered by radios in trees. Orcas Island off Washington State has been transformed by its people’s inventiveness. 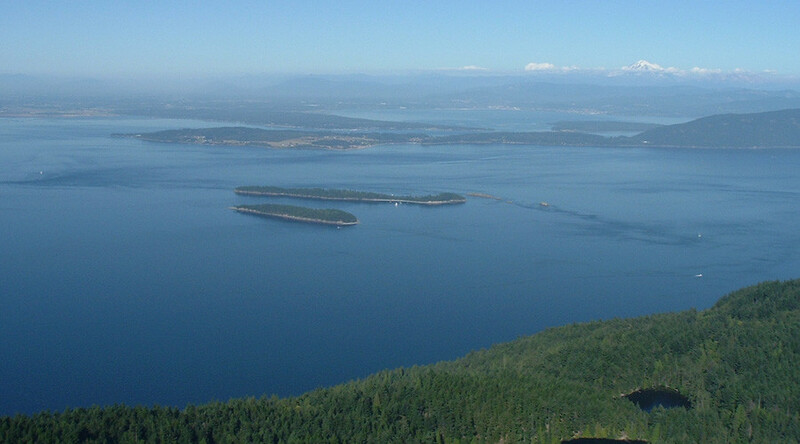 For several years the residents of one of the San Juan Islands had suffered very weak internet from provider CenturyLink, located on the mainland. Despite promises of higher speeds and renewed infrastructure, nothing materialized. Many couldn’t log on to work from a distance, as outages lasted anywhere from one to 10 days, according to Ars Technica. Private ISPs were expensive, demanding around $388,500 for setting things up. DBIUA – or Doe Bay Internet Users Association – was the way to go, a group founded by local resident Chris Sutton and friends. Sutton, who is a software developer, came up with an ingenious plan to equip trees and other objects with receivers to channel internet directly into people’s homes. But the island also needed a microwave link to tie Doe Bay to the mainland. So, the DBIUA paid StarTouch Broadband Services some $11,000 to position a microwave link atop an old 50-foot water tower overlooking the bay – the only option tall enough for a point-to-point wireless link with the mainland. The far antenna is a 5 Ghz sector antenna. Next up was the issue of dispersing that signal to some 50 houses. Sutton then carried out the insurmountable task of planning receiver locations in trees and other locations. Everything needed to be within reach of the 10 relay points on Orcas Island, and not obscured too much by its many hills. Using Google Earth, Sutton mapped out the signal paths, before performing further tests on the ground. “For some people, like me, the signal comes to my tree, and then down into my house to service me,” Sutton explained. To really get the best out of the positioning, Sutton also fashioned drones with cameras, as well as radio receivers, mapping out the best locations for the relay points and related receivers. Each relay point depends on one radio to receive a signal, and another couple to send it back out in different directions. Those relay points are technically similar to the microwave device that sits on the top of the water tower. And, for the first time ever, people could afford not just to stay home for work, but to watch HD movies without interruption. A number of agreements needed to be signed with the outside world, such as if a resident’s house were sold, the next occupant would have to pay the remaining credit, plus monthly costs (an initial loan of $25,000 was included; and customers also pay $75 a month for the service, which is unlimited). The Doe Bay area is a close-knit rural community where everyone contributes to the common good. It is no wonder Sutton got the award of Doe Bay Community Association Patriot of the Year during the Fourth of July celebrations. “In the past 18 months, he has literally driven every back road, climbed countless tall trees and run hundreds of sight lines…," Brems said of his friend.